At least 23 trans people have been murdered in the U.S. in 2017. 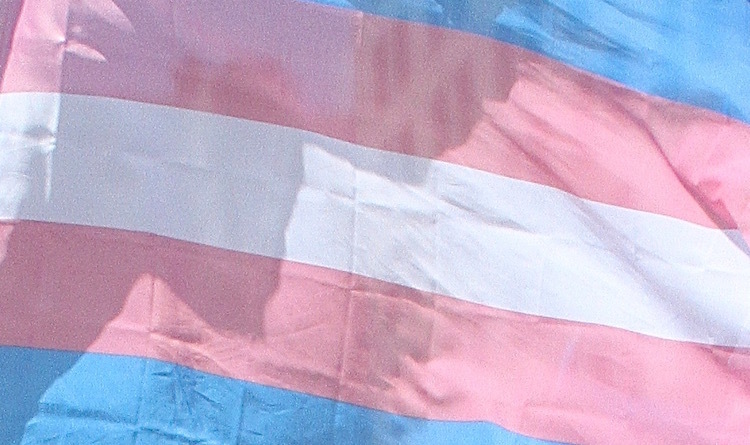 For nearly 20 years, November 20th has marked the Transgender Day of Remembrance. What began as a way to memorialize the death of Rita Hester, who was murdered on November 28, 1998, has grown into a national movement to shine a light on the violence the transgender community—and particularly trans women of color—still faces today. According to Mic’s project “Unerased: Counting Transgender Lives,” the murder rate for young black trans women is 1 in 2,600 compared to the murder rate of 1 in 19,000 for the general population. This year alone, according to GLAAD, at least 23 transgender people have been murdered in the America and countless more have been killed abroad because of their gender identity and, in the United States, the community faces untold waves of discrimination from our current president’s administration. Donald Trump and his political counterparts have chipped away at the rights that trans people have fought for for decades with calls for transgender military bans and revoked workplace discrimination protections. Yet, even against this often-demoralizing discrimination and the very real threat of violence, the trans community has come together and made amazing strides. Activists like OUT 100 Newsmaker of the Year Chelsea Manning, model Teddy Quinlivan, and singer Shea Diamond have become the face of the movement for trans equality. We’ve seen transgender service members speak out about the military ban and witnessed historic levels of trans characters in film and television. Today, as we mourn the transgender lives we’ve lost this year and in years past, let’s remember and celebrate the resilience of the transgender community. Below are the names of the trans lives we lost this year, according to GLAAD. Candace Towns was reported missing on October 29 and her body was found on October 31 in Macon, GA. She was 30 years old. Stephanie Montez was found on October 21 in Robstown, Texas, but, due to misgendering by police and the media she was not identified as a transgender woman until October 27. She was 47 years old. Ally Lee Steinfeld was reported missing on September 1 and her remains were found on September 21 in Cabool, Missouri. She was 17 years old. Derricka Banner was killed on September 12 in Charlotte, North Carolina. She was 26 years old. Kashmire Redd was killed on September 4 in Gates, New York. He was 28 years old. Kiwi Herring was killed on August 22 in St. Louis, Missouri. She was 30 years old. Gwynevere River Song was killed on August 12 in Waxahachie, Texas. Gwynevere was 26 years old. TeeTee Dangerfield was killed on July 31 in Atlanta, Georgia. She was 32 years old. Ebony Morgan was killed on July 2 in Lynchburg, Virgina. She was 28 years old. Ava Le'Ray Barrin was killed on June 25 in Athens, Georgia. She was 17 years old. Josie Berrios (also known as Kendra Adams and Kimbella Rosé) was killed on June 13 in Ithaca, New York. She was 28 years old. Kenne McFadden was found on April 9 in San Antonio, Texas, but due to misgendering by police and the media she was not identified as a transgender woman until June 6. She was 27 years old. Sherrell Faulkner was attacked on November 30, 2016 and died on May 16, 2017 in Charlotte, North Carolina. She was 46 years old. Chay Reed killed on April 21 in Miami, Florida. She was 28 years old. Alphonza Watson killed on March 22 in Baltimore, Maryland. She was 38 years old. Jaquarrius Holland killed on February 19 in Monroe, Louisiana (identified as trans on February 28). She was 18 years old. Ciara McElveen killed on February 27 in New Orleans, Louisiana. She was 21 years old. Chyna Gibson killed on February 25 in New Orleans, Louisiana. She was 31 years old. Keke Collier killed on February 21 in Englewood, Chicago. She was 24 years old. JoJo Striker killed on February 8 in Toledo, Ohio. She was 23 years old. Mesha Caldwell killed on January 4 in Canton, Mississippi. She was 41 years old. Jamie Lee Wounded Arrow killed on January 1 in Sioux Falls, South Dakota. She was 28 years old.